Jing Xia received her Ph.D. in Applied Linguistics from Arizona State University in 2013 and her specialization is second language writing in academic context. Dr. Xia became interested in L2 writing during her graduate studies. At that time, she viewed L2 writing as a sub-branch of Second Language Acquisition and her M.A. thesis focused on the linguistic features of L2 texts generated with different L1 interventions. In the subsequent years working with Professor Paul Kei Matsuda at Arizona State University, however, the limitation of resolving L2 writing issues in a purely linguistic framework became apparent to her and her dissertation examined invention, a rhetorical choice, in an applied linguistic context. Dr. Xia has extensive experiences working with different language learner populations as well as pre-service ESL teachers. Here at Sweetland she particularly enjoys helping multilingual students to realize the importance of rhetorical strategies in verbal and written communication. 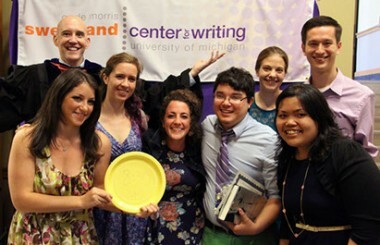 Karen McConnell recently earned her Ph.D. in English Language and Literature from the University of Michigan, where she taught 100- and 200-level writing courses and poetry. In addition to Writing Workshop, Karen is currently teaching EN124 and EN125 for the English Department Writing Program. Her research focuses on the persistence of radical religion in Romantic literature, particularly within Scottish poetry and novels. 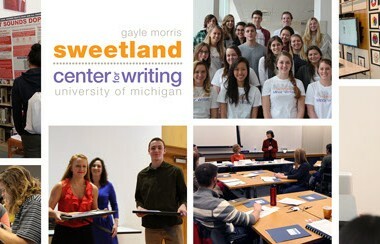 She is excited to join Sweetland! Lori Randall recently finished her Ph.D. in ESL (English as a Second Language) Teacher Education at the University of Wisconsin-Madison. While at Madison, she taught professional development seminars designed to prepare preservice teacher candidates to work successfully with English Language Learners in the mainstream secondary-level English, math, science, and social studies classroom. She has also taught German at the post-secondary and continuing education levels, composition at the post-secondary level, and a range of ESL courses at the secondary and post-secondary levels. As teaching is her primary passion, it is no surprise that her research interests focus on the development of a better understanding not only of effective practices in ESL teacher preparation but also of students’ learning needs. In particular, she is interested in enhancing her understanding of the literacy and language-learning needs of English Language Learners in the STEM fields at both the secondary- and post-secondary levels. Angie Berkley earned her Ph.D. in English Language and Literature from the University of Michigan in 2012. Her research investigates the relationships between literary realism and naturalism and the visual cultures of late-nineteenth century America. Since beginning her graduate studies in 2004, Angie has taught a variety of developmental, first-year and upper-level writing courses at Michigan, as well as several courses in post-1865 American literature. Currently a lecturer in the English department as well as at Sweetland, Angie is also teaching English 124 (Literature and Writing) and English 270 (Introduction to American Literature) this semester.